Galison/Mudpuppy believes in the power of art in everyday life. For those who appreciate style and value, Galison fabricates unique, artful stationery and gifts that enhance familiar routines and allow for inventive self-expression. Mudpuppy combines education and fun within activity-based products that foster imagination and encourage free play. 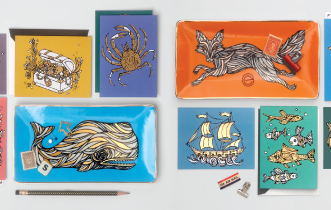 Drawing inspiration from classic children’s illustrations as well as contemporary artists, Mudpuppy creates gifts for discerning customers to give proudly to the children they love.